Draught 1.10m CB down, 0.17m CB up. 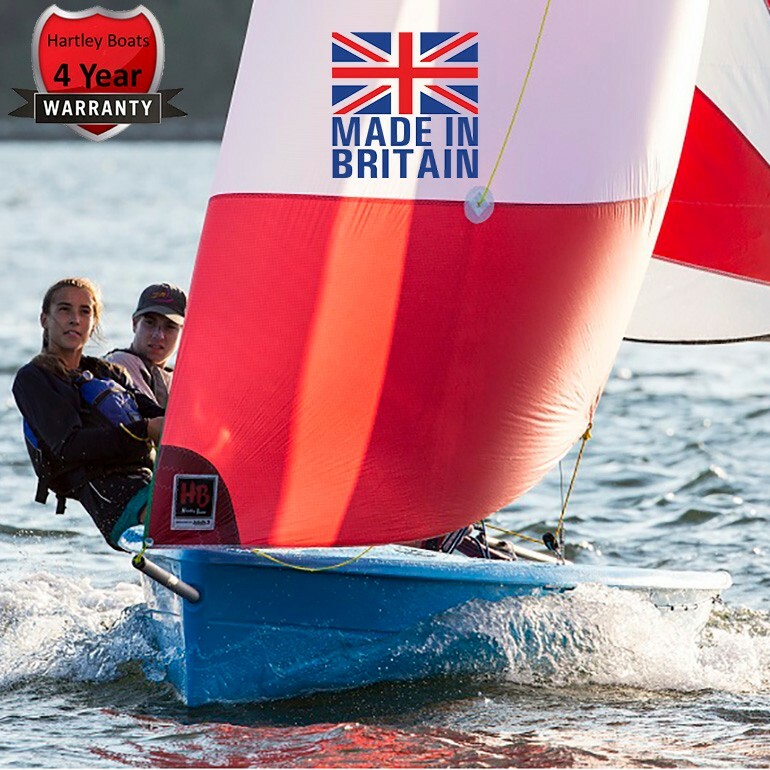 The 12.2 is one of Hartley boats exciting new range of roto mould sailing dinghies which are built in the UK. 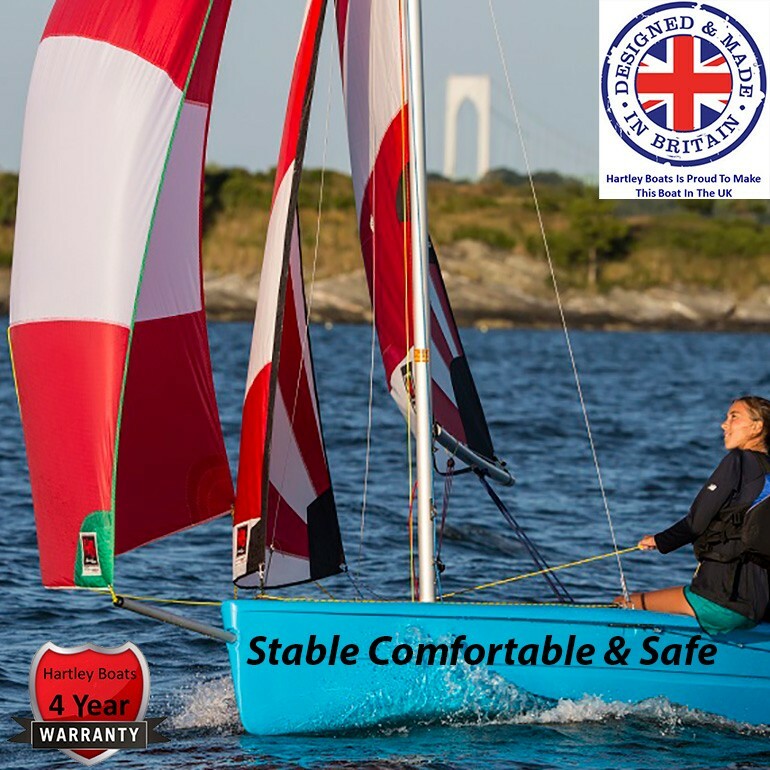 Just like its stable mates, the 12.2 is a very easy to manage and delightfully responsive dinghy that is particularly suited to those in the early stages of sailing. 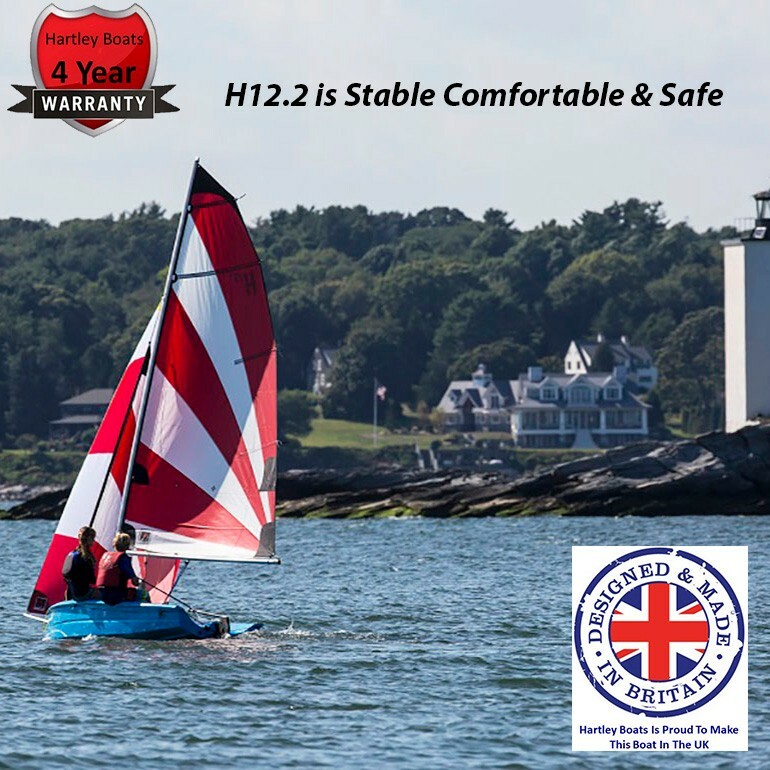 The Hartley 12.2 shares the same basic hull and layout as her sister the Hartley 12 but the exciting difference is that the H12.2 can be sailed with a main and jib, with the addition of either a symmetric or an asymmetric spinnaker. With a wide beam and deep hull shape, this little gem is the ideal platform for experiencing the thrills of asymmetric sailing. 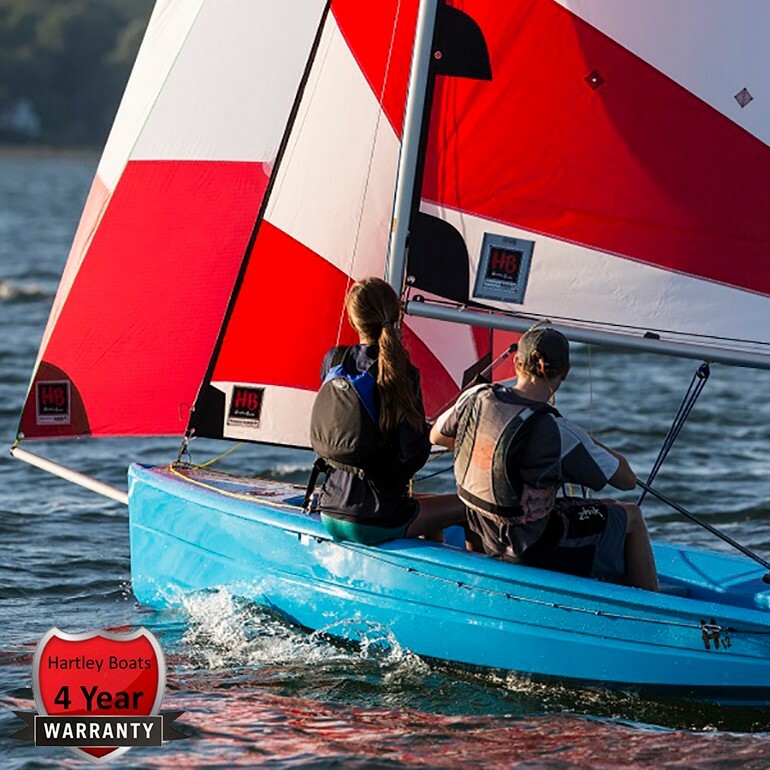 The sleek hull lines and centreboard configuration result in a fast-moving and exciting ride for experienced sailors while the wide beam and deep hull shape provide a more stable learning platform for beginners. 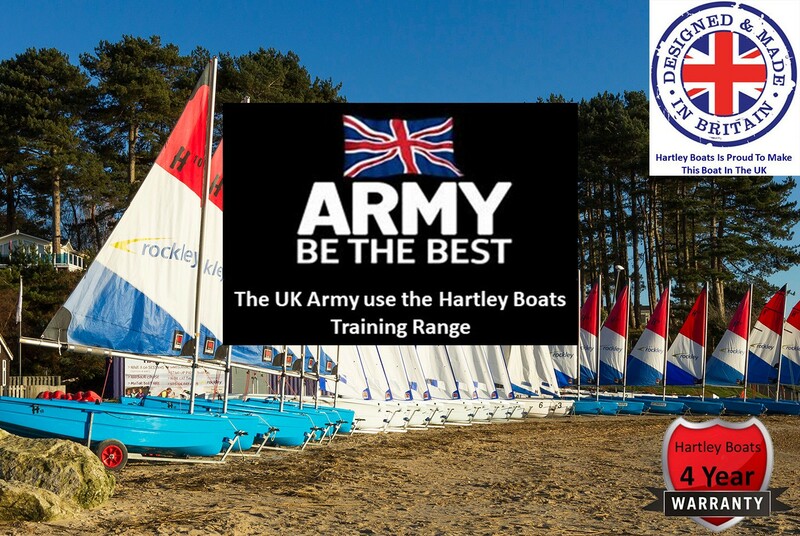 The Hartley 12.2 can be sailed with one, two or three sails depending on experience, the wind or number of crew. 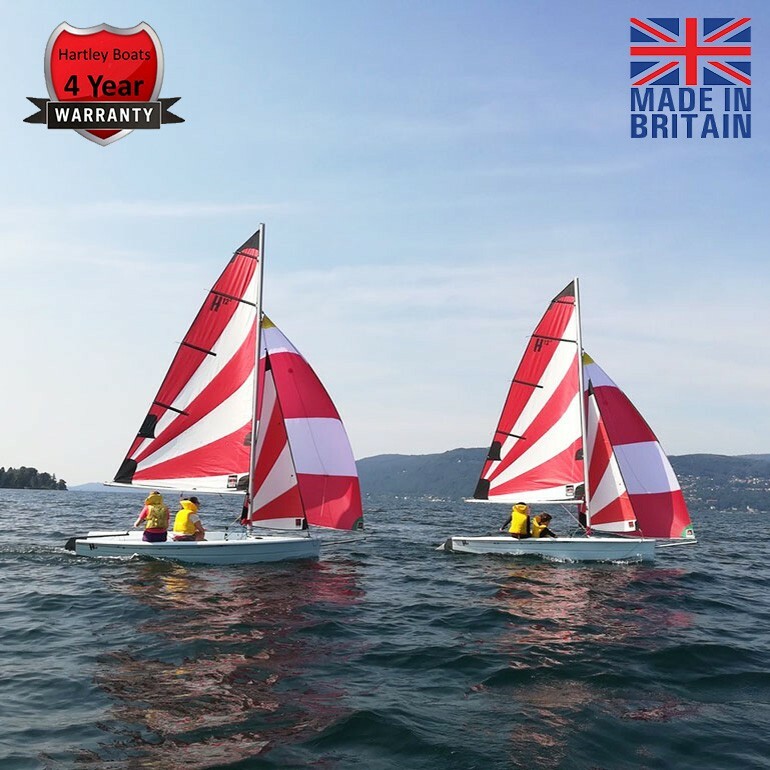 the 12.2 racer comes complete with a high-performance mainsail, jib and asymmetric set of sails but has also the option of a soft reef-able mainsail and clip-on jib. 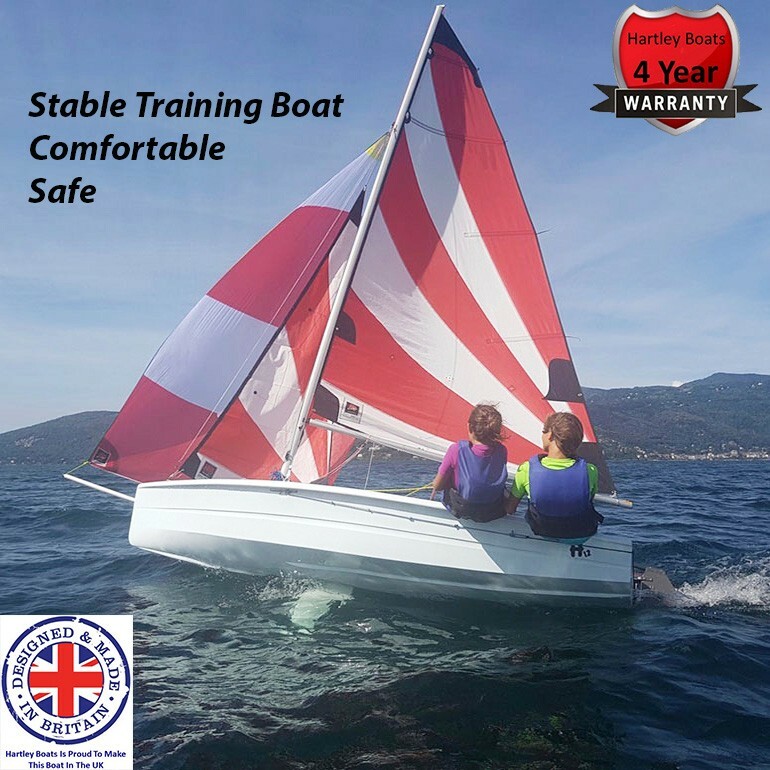 The deep hull shape enables you to sit-in this dinghy which is a far more comfortable sailing position for adult sailors! The high boom position makes for much better all-around visibility and results in fewer bumps on the head for beginners. The attractive hull shape moves swiftly over the water and self drains effortlessly. The Hartley 12.2 has a centreboard rather than a dagger-board to enable easy launching. 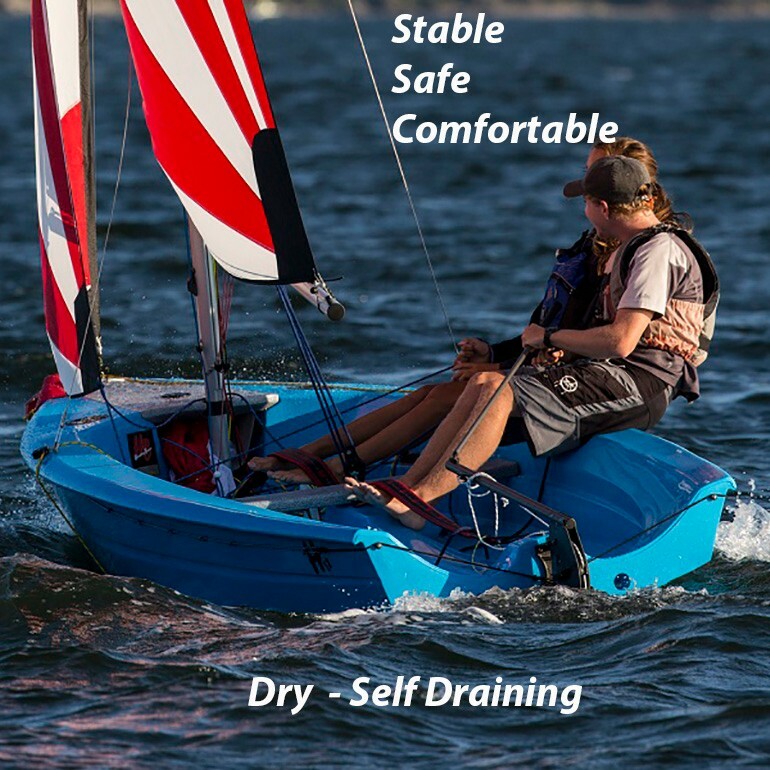 Having a centreboard and an easy up-and-down rudder gives this boat a distinct stability advantage over other dinghies of this size and this feature is particularly helpful in shallow water during launching and recovering. The mast comes in two pieces for ease of transport on a car top or road trailer.